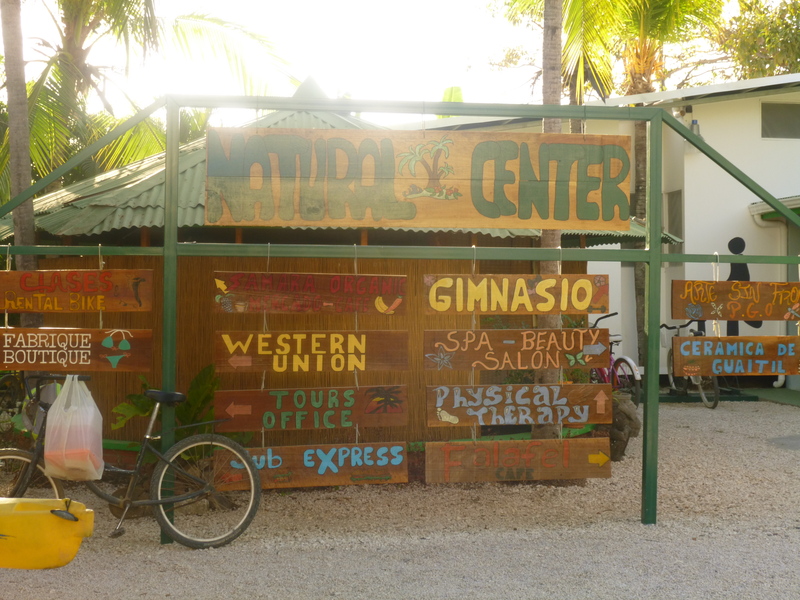 After our five days of rest and relaxation in Nosara we made a quick pit stop in Playa Samara.The main reason we were stopping by was so I could get some material for writing an article for MyCostaRica about learning to surf with Samara Adventure Company. Yes my friends, that meant that yours truly had to take a surfing lesson. You’ll have to stay tuned to a future post to see how it went, although if you follow the Facebook page, you may already know! When I wasn’t learning to hang ten like a pro, I did manage to do a little exploring. In amongst the touristy souvenir shops, and tour companies I stumbled across the Samara Natural Centre. Intrigued? So was I! I was extra lucky to have the opportunity to stop by on a Friday afternoon, when the local Farmer’s market was going. There vendors were selling baked goods, vegetables, jams, jelly’s, cheeses and other delectable treats. Many of the items being sold were advertised as organic, gluten free or vegan. A bonus for anyone who is trying to track down these hard to find products. The vibe at the market was great. It was apparent that this was a gathering place for families and friends to come and pick up all sorts of goodies for the weekend. I had brought my sketch pad and planned to do some drawing while I visited, but found myself more interested in watching the wonderful atmosphere unfolding around me. Now for the health food store. Samara Organics is by far the epicentre of the Natural Centre. 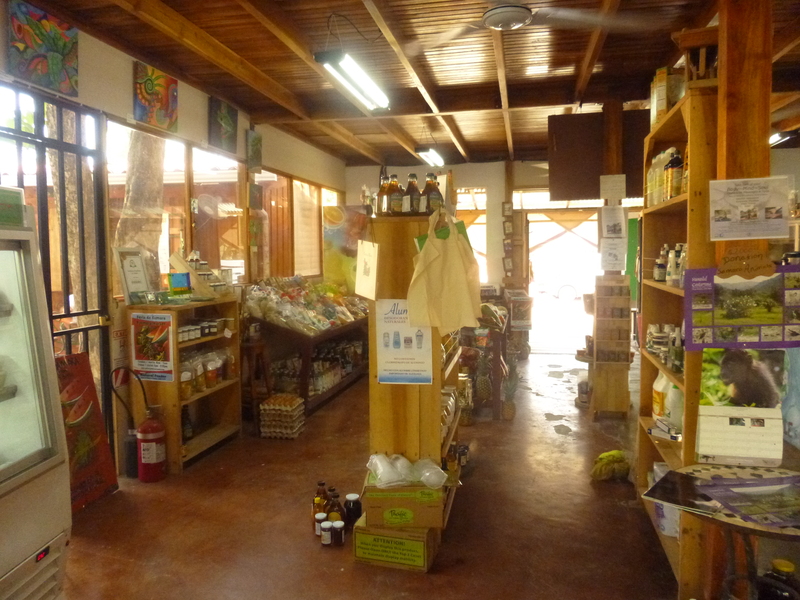 It has the biggest and most diverse selection of health food that I’ve seen throughout my travels in Costa Rica. 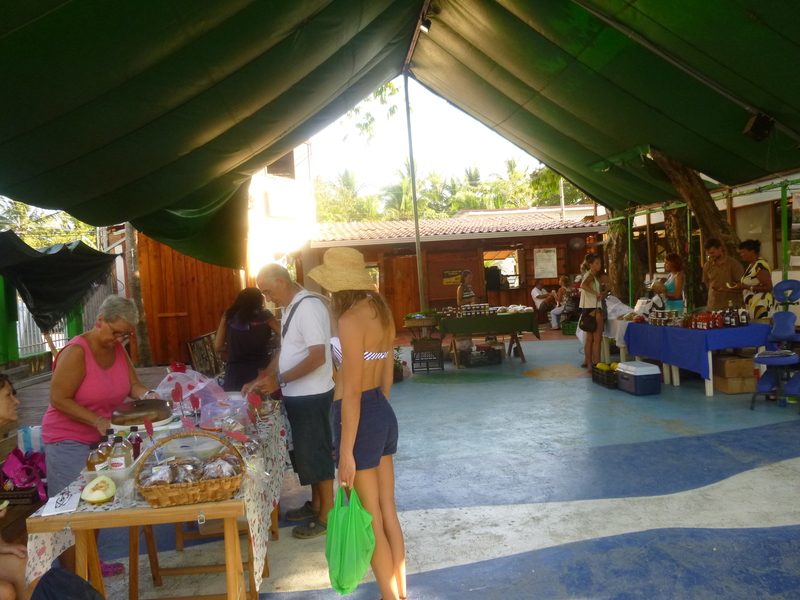 Along with their wide variety of natural products and produce, they are also set up as a cafe. Visitors can enjoy a full coffee menu, juices, smoothies plus a small menu of salads and snacks. During my visit I had a Cappuccino (no surprise), and was delighted when they offered me the option of almond or soy milk. It was just like being back home! Because the farmers market was going on, the cafe was very busy. Despite being run off his feet, the Barista kept a smile on his face, and made the experience extra special. If you are in Samara, checking out the Natural Centre is a must.You will find products that you can’t get anywhere else, and be sure to stop in for a treat at Samara Organics.